Based off the first episode, this feel a lot like Ouran High School Host Club, right down to the general plot, with some elements of Sabagebu-Survival Game Club elements thrown into it. The humor seems pretty good so far and it has certainly gotten my attention. I'll be keeping an eyes on this one. I'll make a full review once the season ends. Enjoying the show so far! When it comes to anime or any type of show, I never go by the reviews. My likes differs from another. I watch and I go by what I see. So if you are the same, feel free to disregard this if you wish. Now, the first thing that popped in my head was (as MANY people have pointed out) Ouran Host Club. But that was quickly diminished. Unlike Haruhi who was forced to stay because of a large debt, Hotaru quickly paid her debt off and chose to stay with them because she enjoyed the game. Once I saw that, everything Ouran related was swept away from my head when watching this anime. Despite her dressing in a boy-like manner (because she seems comfortable that way and plus... her chest isn't that big) and the host club only being shown twice, this I feel like it's own anime (manga). It's refreshing to see the main female character not being the typical, large-chested, gorgeous, perfect down to the core lead. I really enjoy the art and animation. As dramatic as it is, I like how the story is developing. Since the first episode, I have been hooked. I really enjoy the action that is going on and the plot. What I'm looking forward to is how they will react once they find out that "he" is a girl. AMAZING! Please keep making this anime!!! I am HOOKED on to this anime and it is literally now my favourite. I love that the main character girl defies the typical "cool, gorgeous warrior girl" stereotype. This anime is AWESOME if you like really thrilling action and a GREAT storyline. I just think the plot is so original and I absolutely LOVE this anime. I was so upset when this anime was cancelled! I think it's really great. Ouran Highschool Host Club? No Way! 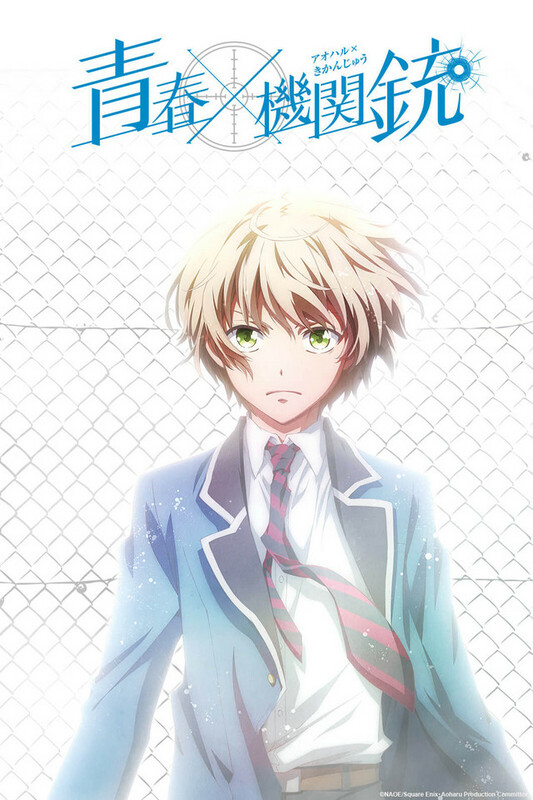 So many reviewers are comparing this to Ouran Highschool Host Club and I just don't get why. The only similarity is that we have a female lead who dresses like a boy. Her reasons are very dissimilar from Haruhi's and she's definitely not playing at being a host. Certain circumstances take her into a host club one time and one of her future teammates is an actual host, but that's the extent of it. At any rate, I've watched the first 6 episodes and am loving this anime! The characters are distinctive and their personalities quirky, fun and interesting. I was drawn in by the very first episode and impatiently await each week's new release. There's fun, angst and excitement. This isn't SAO where losing the game means losing your life, but many of the players seriously play as though their lives were on the line and they're not above cruel and petty actions to win the game. With episode 7 things are really going to rev up and I'm anxious to see how Tachibana will handle herself. She's just discovered how seriously things stand with her two teammates and she's going to need every bit of that "killer" instinct she can pull from within to get them all through the TCG (Top Combat Game) competition. This anime already had and wanting more within the first minute of watching it! More! More! I've watched the first 3 episodes before realizing that it's an ongoing show and that there weren't anymore for me to watch yet. Just my luck. But I fell in love with this anime the moment I heard the opening song. If that's not perfect then what is? After watching about 3 episodes, I think thats enough to write a review. I'll try not to spoil anything so forgive me if I do! It starts off with our protagonist, Hotaru, who stands for justice and punishes evil-doers as the student council president. She seems to be a little overpowered even managing to make cracks in a steel door with a single punch. Then after what she thought was an evil-doer scammed money off her friend she went to punish him not knowing the full story and they ended up playing a survival game. (A survival game is when 2 or more people compete against each other with bb/ airsoft guns.) After causing a lot of damage to the place she had to repay the guy with playing in more survival games with him and the story basically progresses from there. I won't say anymore but after finishing episode 3 I was really hyped for the next episode. Although I think it's a bit tedious that they made a boy-looking girl, it does add a bit of comedy. Well anyway I definitely think everyone should check this out. I would probably rate this about a 4.5/5 but that's not an option. You may like you may but either way you have to watch it to find out! I have enjoyed this series a lot more than I originally expected. The characters are fun and the plot is not as lame as some out there. Overall, I think the over-dramatization of the original beef between the main villain and the secondary main character is a bit much though. Aside from that, this show needs a second season...bad! Otherwise, this review will stay a 3 star review. That cliff hanger does not do it for me at all. Each character has unique personality, and it is clear how they became who they are. The plot involves mystery, competitions, growth, and overcoming bad situations, which is complex for each component to connect with another. I do not lack the exaggeration with the cruelty of the game, but it sometimes makes watching this anime fun. The shortcomings are how slow the mystery is solved and how few games are played within the season, which make some moments staggering. These could have been solved by a little faster pacing.